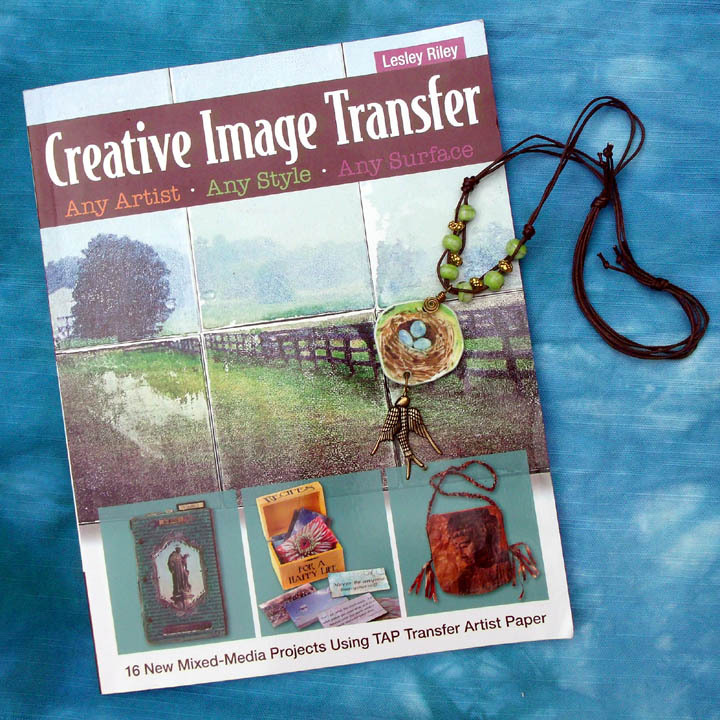 Creative Image Transfer is finally available and I am so excited to be a part of it! The book includes 16 new mixed-media projects using TAP Transfer Artist Paper. My project uses TAP on Faux Bone – a non-toxic, flat PVC plastic that can be cut and carved into any shape for beautiful, lightweight jewelry components. The book showcases 5 of my Faux Bone necklaces, each with a TAP transfer of my artwork. To celebrate the event, Lesley is having a Creative Image Transfer book and TAP Give-away! Just head over to her blog anytime from Aug. 6-10, 2014 and enter to win!